Do you remember the times we used to go to our neighborhood mom and pop stores for some quick errands? The shopkeeper recognized and greeted us, enquired about our family’s well-being, offered the product we regularly bought, and if the product was unavailable at that moment, offered to deliver it at our house at no additional cost. And he did that for all his regular customers. An excellent way to establish rapport and nourish a healthy relationship with customers, through personalization. That’s exactly what CRM is about in 2017, only businesses do it these days with the help of computers and internet, for millions of such customers. Today, customers not only knock business’ brick-and-mortar doors, but also, online – via social media, apps, websites, and the latest addition to the CRM kitty, chatbots. What drives CRM in 2017? Chatbots are perhaps the next big thing after apps. Every brand now has one in place – whether on its website or on social media sites such as Facebook Messenger. These bots act as lead generators, capturing customer queries and providing them quick information. 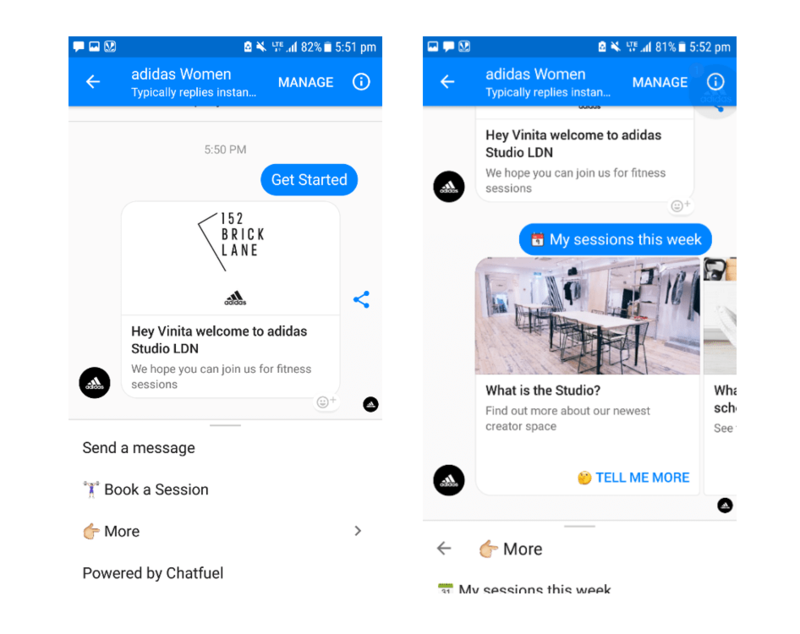 Here’s the Adidas Women UK Chatbot that promotes fitness among women and helps them book fitness sessions. Geolocation – Enables salesperson to identify which customers are in their vicinity, allowing them to drop by for quick, meaningful visits. This leads to effective usage of the salespersons work hours. AI – Smart assistants pull customer data from their social profiles to glean a deeper understanding of customers. This helps the salesperson stay informed on the customer and personalize the pitch better. Personalization is more than a “Hi *|FNAME|* ” in your mass mailers these days. Brands are leveraging machine learning to analyze customer data and identify patterns in behaviour. This helps them recommend the right products at the right time to the right customer. 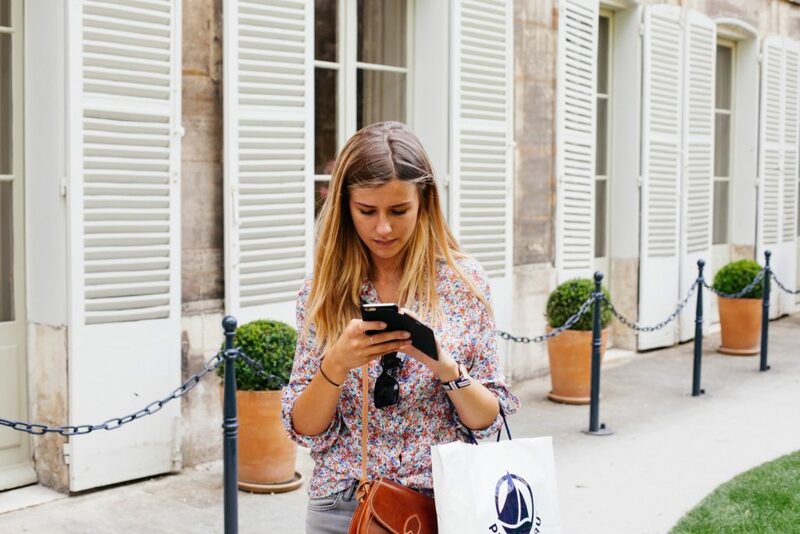 For example, brands can use geofences to identify customers in store vicinity, pull their data from the CRM to analyze past purchases and push customized offer messages to their smartphones. Business are deepening engagement with customers via crowdsourcing. Customers, ranging from various demographic segments are pulled together for surveys, polls, discussions, and online forums to provide feedback on new products, services and more. This helps customers feel more invested in the process, while it enables businesses to directly engage with customers and gain insights for their product roadmap. A company that put crowdsourcing to good use is perhaps Lego Ideas. It is a website that acts as a forum for Lego fans to come together and suggest new Lego set ideas and designs. Have a look at their portal! CRM has undergone a sea change in the last few years, and with technological advancements in AI and machine learning, the transformation will occur at an exponential rate. Businesses, globally, are recognizing the benefits of leveraging these advanced CRM features to create exceptional customer experiences, and widen mindshare as well as wallet share. Automated CRM, powered by machine learning that helps your salespeople do what they do best. Score more deals. Contact AgilizTech to learn more.